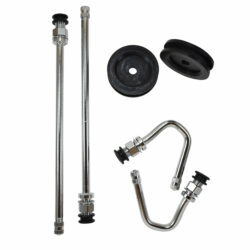 This Dually Valve kit makes it easier for heavy duty trucks with dual wheels to check and maintain tire pressure on dual wheels. Adding air to dually tires was difficult, and required the use of specially designed air chucks and specially designed air gauges just to get to the valve stem. Not anymore! 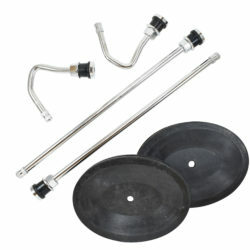 Dually Valve has extended the length of the inner dual valve to reach the outer dual thus making it easy to add air. 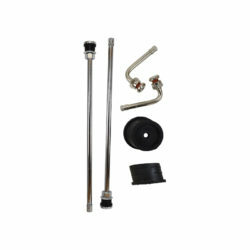 They have created an outer dually valve that has three bends to point outward. 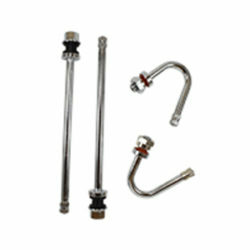 This Dually Valve Kit includes 2 Chrome Inner Dual Stems, 2 Chrome OuterDual Stems. 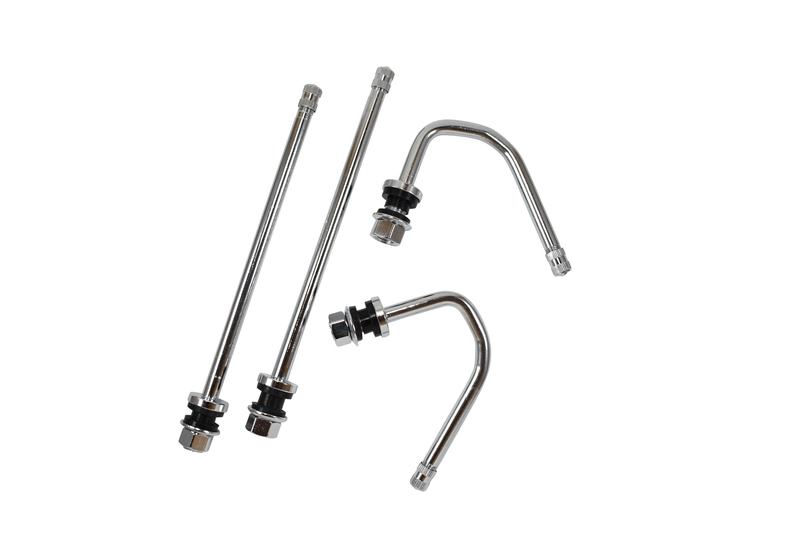 TPMS – DuallyValve stems DO NOT work with INTERNAL TPMS. Duallyvalves can work with External TPMS that go on the end of the valve stem. Tire Rotation – Having DuallyValves make it difficult for the tire shop to rotate your tires. Inner stems, Outer stems and Front stems are all different. You can rotate Inner with Inner, Outer with Outer and Front with Front.